Web 2.0 technologies are here to stay, and social media is becoming an important tool for public relations experts and marketing gurus. This trend has resulted in a growing interest in measurements and metrics that are supposed to help assess one’s progress in the use of social media for brand building, communicating and so on. We address why using influence, impact and outcome-type of metrics is a must but remains a challenge for savvy bloggers and social media experts. Some of our readers wrote to use and asked why we have so far not addressed influence, impact and outcome. Hence, let us address these not so well understood concepts below. The more people read your content the more influence your work might have. As well, your marketing efforts or YouTube tape might become viral and spread like a wildfire. Wonderful, nevertheless, will it help you bring home the beacon? However, just because many people read your blog does not automatically mean you have influence. For instance, the graph on the right shows social media influence- based on social network analysis. The latter sees social relationships in terms of nodes and ties. Nodes are the individuals (visitors) within the networks, and ties are the many types of relationships between. So your social media campaign might get great attention in the blogosphere and even swap over to traditional media (e.g., get you an interview with a major daily in your neighbourhood). Accordingly, many people might get your information but what is the impact if it all? So you have managed to get me and other individuals who are part of your targeted audience to subscribe to your e-mail feed or RSS feed you offer on your corporate blog. Your train of thought might influence me. Nevertheless, the real issue is if this does change my attitude toward blogging, gas-guzzlers, recycling or a politician. It might even result in me considering changing my voting behaviour, subscribing to The New Yorker or get me to purchase a fuel-efficient compact. Unless one can get measure it and see that it actually does help people change their attitude and/or behaviour, I cannot be sure if my use of social media or Twitter has made a difference with my readers/followers, etc. For instance, U.S. Congressmen John Culberson (R-TX) is using Twitter, a micro-blogging tool, freely with the public. He has gained some great visibility and notoriety with the help of Twitter. Having gained 1,500 followers within a rather short period is impressive. Nevertheless, will these followers change their attitude toward behaviour or legislation discussed in Congress during fall? The ultimate challenge for John Culberson is if micro-blogging and using Twitter will get him more votes next time elections are around in Texas. Another issue for a business is if the influence and impact the firm’s social media efforts have do make on the firm’s bottom line. The latter is where it counts. But just because many people read your blog does not automatically mean you have influence. Worst is that it might not result in them giving you business either or having a better opinion about your brand. Boost your stats – for sure but will this ring my cash register? c. – went and did something about it (call your office, order your service)? Influence and impact is great. Unfortunately, unless she walks down to your store to by organic produce, what difference did your blog or micro-blogging make? If boosting your traffic is the aim, great. If boosting sales is your objective, than it matters how many people call Doug based on seeing the above ad and, most importantly, who hands over the money for his advice. 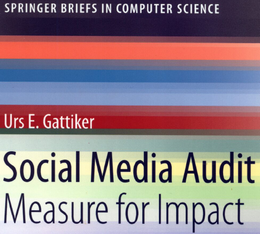 Measuring influence as well as engagement and impact is difficult. It is even more difficult in the blogosphere. 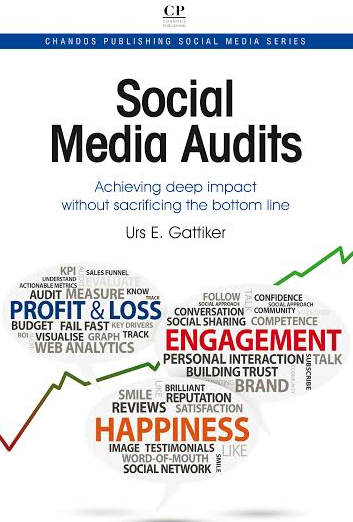 As a business, stick to the bottom line issues; try to measure social media impact on such things as sales, customer contact, repeat sales, etc. Finding ways to build campaigns that deliver planned-for, measurable results is a challenge. Ever more difficult is it to achieve a positive and measurable impact that trickles down to the bottom line. Don’t hold your breadth, the solution will not come that fast. Web 2.0 technologies are here to stay? They said that about web 1.0 technologies, and while yes, those are still around, some people are already working towards web 3.0, the semantic web, which will put to shame all those who thought web 2.0 was the be all and end all of net connectivity. Previous post: Financial Times: Is blogging good value?